Housing affordability has been a hot topic for raising public anxiety for some time. 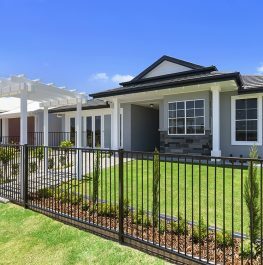 However, according to QM Properties’ General Sales Manager, Damien Ross, recent reports have marked the Moreton Bay region as a growing property market to watch. 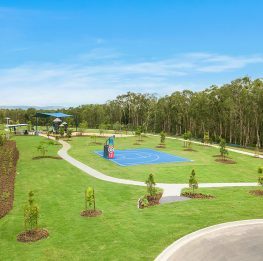 “Caboolture’s latest master planned community Central Springs is leading this growth due to its availability of more affordable housing,” Mr Ross said. Blue Water Homes managing director David Smith stated affordable doesn’t necessarily mean boring though. 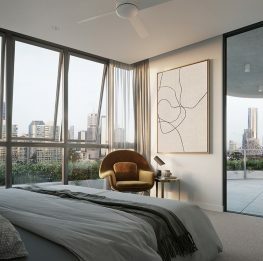 “The cookie cutter version of home design is done and dusted, fuelled by shows like The Block, House Rules and sites like Pinterest and Instagram buyers are demanding custom designs for their homes,” said Mr Smith. “While it’s getting harder to afford a home, we are finding people would rather chose a small home that they can customise rather than a large home that they can’t make any changes to – they want to make a visible contribution to their dream home. Among the first wave of residents to move into Central Springs is first home buyer, Amy Furniss, who recently bought a house and land package. “A few years ago, I set myself the ambitious goal of purchasing my first home by the age of 21, and I am delighted to say I achieved that dream,” stated Ms Furniss. “One of the biggest draw cards of Central Springs was the affordability. I looked at other estates before buying at Central Springs and the prices were at least $100,000 more for a smaller block in a cramped estate. “The close proximity to the M1 means I will be able to get to the Brisbane airport where I work as a flight attendant in just 40 minutes. Once complete, Central Springs will feature a 5-hectare lake surrounded by over 1000 residential dwellings.